Sony UK denies reports of worldwide recall of 1.6 million LCD TVs | What Hi-Fi? 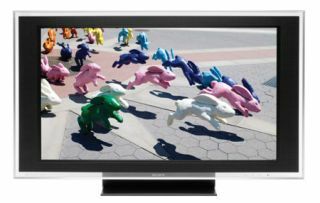 Sony UK has reacted to global press reports of a recall of 1.6m of the company's LCD TV sets, saying it's not a recall. UK PR Manager, B2B and Essentials, David Edwards, has provided us with a statement saying that 'We have recently become aware of a potential issue affecting a very limited number of BRAVIA LCD TV models available for purchase in Europe since June 2007'. 'To date, there have been no reports of any damage to other property or physical injuries. 'However, as part of our ongoing commitment to customer service and satisfaction, and as a precaution, Sony is voluntarily initiating a programme to perform a free inspection and, if necessary, a free repair to reassure you that these products meet your expectations of our high standards for quality and safety. Previously news organisations including the BBC, Reuters, Bloomberg and Sky News had covered the recall, saying that Sony had been instructed by Japan's Trade Ministry to initiate the process, and quoting a Sony Japan spokeswoman, Yuki Shima, as saying that a faulty component in the backlight systems may be the source of overheating that can melt the top of the television. We are seeking further clarification. Sony is to recall 1.6 million LCD TVs worldwide after reports that faulty components were causing parts to melt. The recall will affect TVs manufactured in 2007 and 2008, and mainly sets sold in Europe and the US. Affected television sets include: KDL-40D3400, KDL-40D3500, KDL-40D3550, KDL-40D3660, KDL-40V3000, KDL-40W3000, KDL-40X3000 and KDL-40X3500. Sony said these sets might contain a component that could overheat and cause the TV to overheat and ignite. If you have one of the affected sets, Sony suggests you take it to your nearest Sony Centre for a free inspection and if necessary a free repair. The original incidents occurred in Japan and Sony stresses there has been no damage to property or individuals. Should anyone notice any strange noises, smells or indeed smoke, Sony suggests you turn your TV off and contact Sony immediately. We are waiting to see if Sony will set up a specific hotline for this issue: in the meantime if you experience problems as described above, the Customer Service number is: 0844 8466 555.